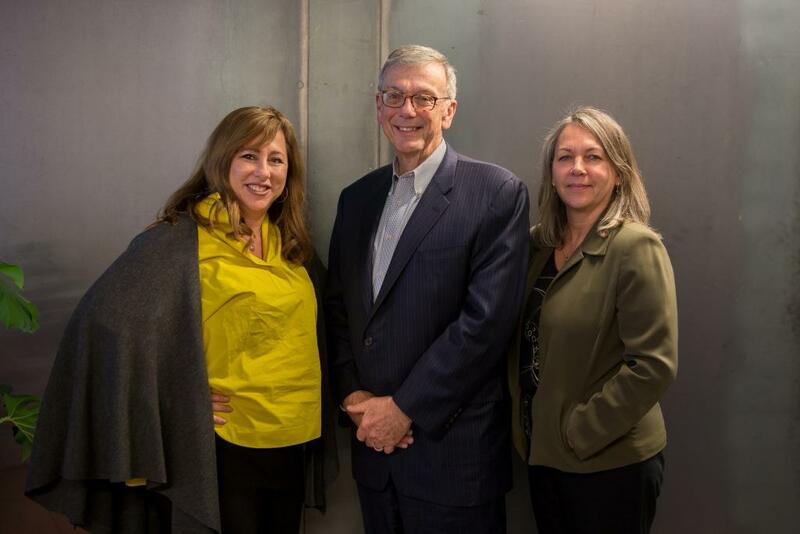 DENVER, CO (January 4, 2018) – Water For People, a global nonprofit working to provide access to improved water and sanitation systems and services in nine countries is pleased to welcome Beatriz Bonnet, John Eckstein, and Irene Lofland to the Board of Directors. Beatriz Bonnet A native of Uruguay, Beatriz Bonnet is the President and CEO of Syntes Language Group in Centennial, Colorado. She is a seasoned translation industry executive, consultant, translator, and conference interpreter with over 30 years of industry experience. Beatriz has been a Member of the Boards of Directors of the American Translators Association, the Colorado Coalition for the Homeless, the American Red Cross Mile High Chapter, and the National Association of Women Business Owners (Denver Chapter). She was Chair of the American Translators Association’s Standards Committee for 16 years and worked on ASTM International and International Standardization Organization (ISO) translation and interpreting quality standards. She has an interest in nonprofits that promote women’s empowerment, international development, and the environment. Beatriz is a frequent speaker at industry and business conferences. A classically-trained musician, Beatriz’s first experience in translation was translating concert reviews for the Houston Symphony. She never stopped working in the field and now enjoys leading and teaching the team at Syntes. John A. Eckstein John A. Eckstein is a senior corporate and finance attorney and shareholder at Fairfield and Woods, P.C. an 84-year-old law firm in Denver, Colorado. His clients include family offices, investment advisers, venture capital, and technology-based SME’s. John currently serves as the chair of Paltown Development Corporation, a Washington DC-based nonprofit serving the social media community needs of patients, survivors, and caregivers for selected critical diseases. He has been on the boards of several professional, nonprofit, government, and for profit entities, including service as board chair of the Colorado Advanced Technology Institute (CATI), a state agency that successfully promoted economic development through technology transfer. John obtained his BA (political science / history) from the University of Iowa, his MA (economics) from Johns Hopkins SAIS, and his JD from the University of Virginia. John is enthusiastic about the opportunities for economic growth which are enabled by sustainable, quality water and sanitation projects through Water for People. Irene Lofland Irene Lofland is a strategic leader who is currently Vice President of Investor Relations for DCP Midstream. With over 20 years of finance and risk management experience, she has held numerous executive roles leading treasury, information technology, internal audit, ethics and compliance, and enterprise risk management. In 2015 she was named the Outstanding Woman in Business in Energy by the Denver Business Journal, and in 2013 she received the Impact Award from the American Heart Association. Irene grew up in Colorado and graduated from the University of Denver. She is passionate about community service and has dedicated herself to organizations that promote women’s issues, health, and children’s causes. She has had the privilege to serve on the Colorado Women’s Chamber of Commerce board, chair American Heart Association’s Go Red campaign/luncheon and corporate health committee, as well as serve as the executive sponsor for DCP’s Business Women’s Network.